KURA AUCKLAND – Te Toi Whakairo Rima – Kura Auckland’s 5th Annual Carving Exhibition! – Kura Gallery: Maori and New Zealand Art + Design. 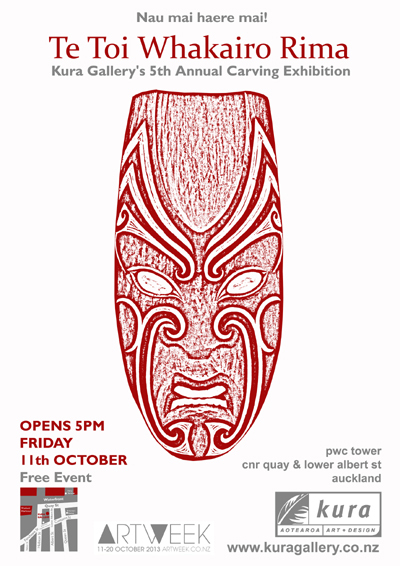 Kura Auckland’s 5th Annual Carving Exhibition! An amazing collection of new works by established and emerging carvers from across Aotearoa. Nau mai haere mai! All are Welcome!